22 x 31 cms., 560 pp. Alexandre Junior, M., Euphrosyne 31, 2003, p. 633 s.; Bernabé, A., CFC(egi) 9, 1999, pp.316-318; Dubois, L., REG 113, 2000, p.438 s. (Bull.Epigr. no. 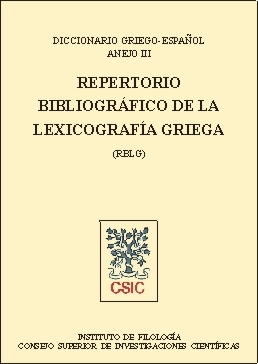 14); Holmes, M.W., Religious Studies Review 26, 2000, p.86; Hopkinson, N., CR 49, 1999, p.593; Isebaert, L., Les Études Classiques 66, 1998, p. 384; Martínez Díez, A., Est. Clás. 41, 1999, p. 169 s.; Mawet, F., AC 69, 2000, p.385 s.; Nachtergael, G., Chron. d'Eg. 73, 1998, p. 378; Perpillou, J.-L., RPh 72, 1998, p. 311 s.; Poethke, G., AfP 46, 2000, p.156; Schwabl, H., WS 112, 1999, p. 231; Trapp, E., JÖB 50, 2000, p.315 s.; Zoroddu, D., Athenaeum 88, 2000, pp.366-368; Hilhorst, A., Journal for the Study of Judaism 32, 2001, p. 296 ss. ; Blanc, A., BSL 96(2), 2001, p. 152 s.